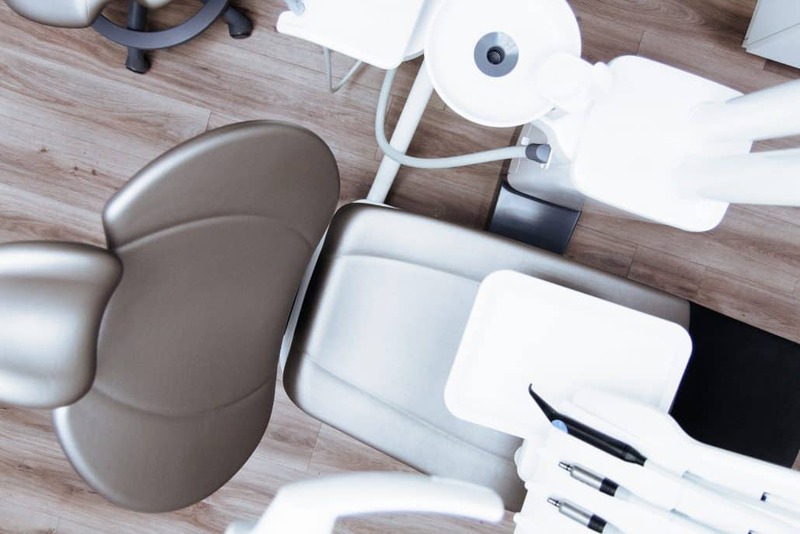 While many people use the terms interchangeably, there is actually a big difference between a dentist and an orthodontist that boils down to experience, education, and specialty. 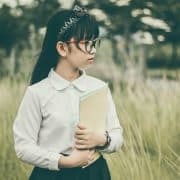 While both begin with a similar educational background, orthodontists choose to continue their training to become specialists in orthodontics, an area of dentistry focusing on correcting occlusion, bites, and the straightness of teeth. Firstly, after earning a D.D.S. (Doctor of Dental Surgery) or D.M.D. (Doctor of Dental Medicine) degree, a dentist must complete a two- to three-year residency in orthodontics at a university-affiliated program approved by the American Dental Association. This means to specialize in orthodontics, an orthodontist completes up to three additional years of education and training. While some dentists complete additional training over a few weekends to offer some orthodontic treatments, they do not have the knowledge, education, and skill necessary to diagnose and treat serious orthodontic issues correctly. More often, a dentist will refer someone in need of orthodontic treatments and procedures to an orthodontist as these treatments will be outside of the dentist’s area of expertise. Orthodontists treat a wide variety of orthodontic issues, typically with special orthodontic devices like Invisalign, traditional braces, retainers, and expanders. The following are some of the most common orthodontic issues we see at our office. Underbite. This gives a “bulldog” appearance as the upper teeth are pushed too far back or the lower teeth are too far forward. Overbite. Also called “buck teeth,” this happens when the upper front teeth stick out over the bottom teeth. Open bite. This occurs when there is space between the biting surfaces of the side or front teeth when the back teeth bite down. Crossbite. This happens when the upper teeth don’t come down a bit in front of the lower teeth when biting. Misplaced midline. This occurs when the center of the upper teeth does not align with the center of the lower front teeth. Crowding. This occurs when the dental ridge can’t accommodate the teeth. Spacing. Spacing happens when there are gaps between the teeth due to teeth that don’t fill the mouth or teeth that are missing. To correct these issues, an orthodontist may use a variety of appliances to retrain the muscles, move the teeth, and change the growth of the jaws. Orthodontic appliances apply gentle pressure on the jaws and teeth to make changes over time. Several factors will determine the orthodontic approach that is best for you, including the type of orthodontic issue you have and the severity of the problem. Traditional braces are the most common fixed orthodontic appliance. Braces are made up of wires, bands, and/or brackets. The bands are fixed around the teeth and become anchors for the device, while brackets are usually bonded to the front of the teeth. Archwires pass through brackets and attach to bands. Monthly follow-up appointments are necessary to tighten the wire and put the correct amount of tension on the teeth to move them to the right position. 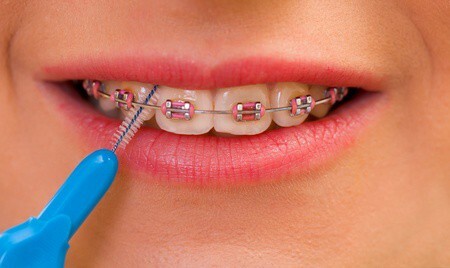 Depending on the severity of the problem, braces may need to be used for months or a few years. Aligners are a popular alternative to braces for adults. 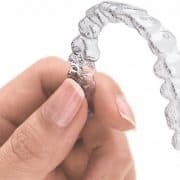 Invisalign is the most popular type of aligner and it works through a series of custom-made aligners, which resemble transparent trays, that slowly move the teeth in the same way as fixed braces. 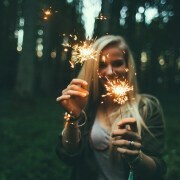 Unlike braces, Invisalign uses no metal wire or brackets. The aligners are almost invisible and they can be removed for flossing, brushing, and eating for greater comfort. Fixed appliances to control thumb sucking, which are attached to the teeth with bands. Space maintainers, which are used to keep a space open after a baby tooth falls out until the permanent tooth comes in. Splints, or jaw repositioning appliances, which may be worn on the top or lower jaw. Hence, these devices train the jaw to close in a better position. Splints are commonly used to treat TMJ. Retainers are worn on the roof of the mouth to keep the teeth from shifting back to the previous and incorrect position. Headgear is a device that includes a strap that’s placed around the back of the head and attaches to a wire in the front. Headgear works to slow the growth of the upper jaw while holding the back teeth in position so the front teeth can be pulled back. 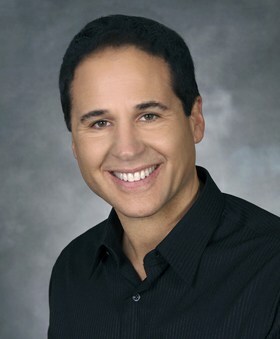 Orthodontists are specialists in diagnosing and treating teeth and jaw alignment issues. 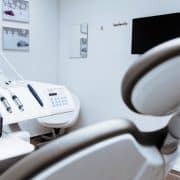 If you have a dental problem in these areas that require braces, retainers, Invisalign, or other corrective appliances, it’s best to see a specialist. After all, you wouldn’t see your primary care physician for a complex vision problem. Finally, you can schedule an appointment with Papandreas Orthodontics to learn about the best type of orthodontic treatment for you and your children to improve your smile correct your dental bite.